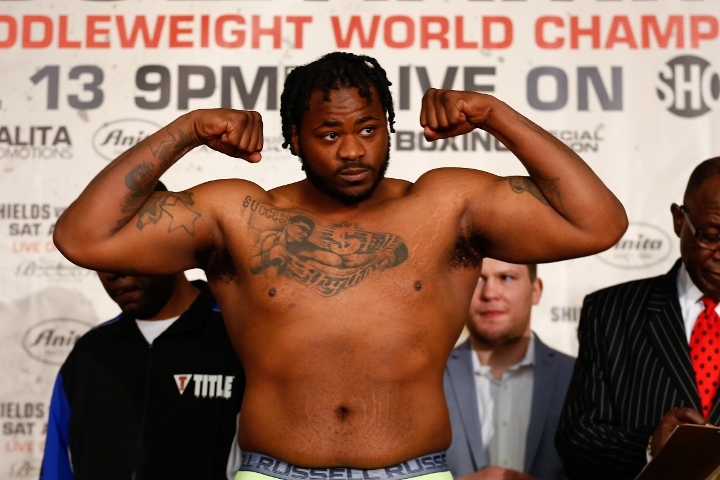 Atlantic City - In the Showtime co-featured bout, Jermaine Franklin (18-0, 13 KOs), widely regarded as the top American heavyweight prospect, kept his unbeaten record intact with a 10-round unanimous decision over former No. 1-ranked U.S. amateur Rydell Booker (25-2, 12 KOs). The judges scored the fight 99-91 and 98-92 twice. Booker had his moments, particularly in the early rounds when he landed several flush power shots but the youthful Franklin pulled away in the second half of the fight as Booker tired and Franklin targeted the body. Franklin averaged 54 punches per round to Booker’s 35 and led 146-94 in overall punches landed. I swear every counter Booker threw, Franklin got hit with. His activity saved him, not skills. Definitely a big WIP.